Choose from our continental or gourmet breakfast ingredients to prepare and enjoy at your leisure. 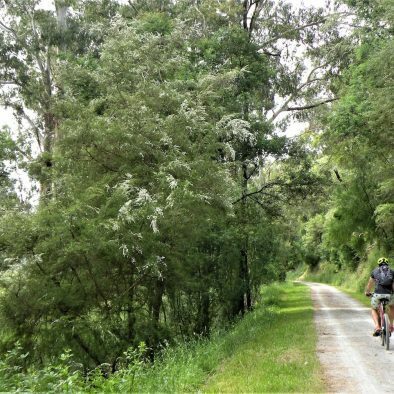 Located off the Warburton Highway in Wandin North, Westering Cottage is centrally located to explore all the delights of the Yarra Valley and Dandenong Ranges. Set on five acres of garden and bushland, the cottage is fully self-contained with its own entrance, a private deck and courtyard barbecue. This peaceful setting is the ideal place to relax and unwind after a day full of fun and good food. A second full-sized fridge in the bar on the deck is available for longer stay guests to keep your supplies cold. A detailed list of other amenities is below. Information for pet owners is also below. If you still have questions contact the owner. Park at the cottage entrance. Space available for caravan / camper, horse float. Quality hotel-grade mattress with luxury cotton linen supplied (two or more nights only). Guests staying one night need to supply sheet, doona cover and pillowcases - pillows and doona supplied. Spacious shower with rain-head. Wallawa Indigenous Botanical Skincare products. Thick bath towels. Hair dryer supplied. Dogs are welcome subject to conditions. A sheltered dog run with kennel is available. Selection of DVDs (including Blue Ray) and CDs. A second TV in bar area. Reverse cycle airconditoner/heating and a ceiling fan ensure comfort. Ingredients for continental breakfast provided, including fresh juice, local fruits with yoghurt and homemade granola or standard cereals, bread, butter and homemade jams. Fresh ingredients for a gourmet cooked breakfast are included in the cost. Enjoy the relaxing freedom of self-catering with our herbs & spices, well-equipped kitchen and barbecue. You'll find the password in the Guest Guide in the Cottage. Enjoy snacks, refreshments and meals at your private bar overlooking the garden, or the dining table options of inside, on the deck and at the barbecue. A wardrobe is available with hanging space and shelves plus clothing hooks in the bedroom. A selection of teas and coffee is available for the enjoyment of guests. Plunger or Nespresso coffee. Guests will find a homemade snack and refreshing drink on their arrival. 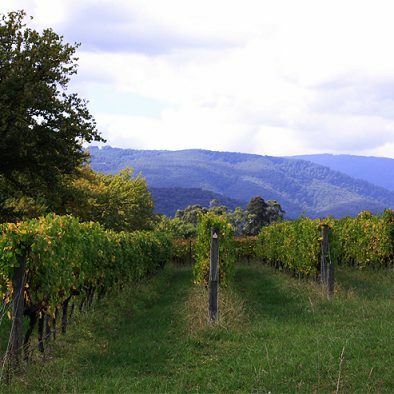 Enjoy the fresh air of the Yarra Valley and views to the Great Dividing Range from the barbecue and as you stroll around our garden. Guests can park at the front door to the Cottage and are free to come and go as you please. Just leave the key in the key lock so it does not get lost! Pets are welcome, subject to arrangement with the owner. Please discuss with the owner at time of booking. 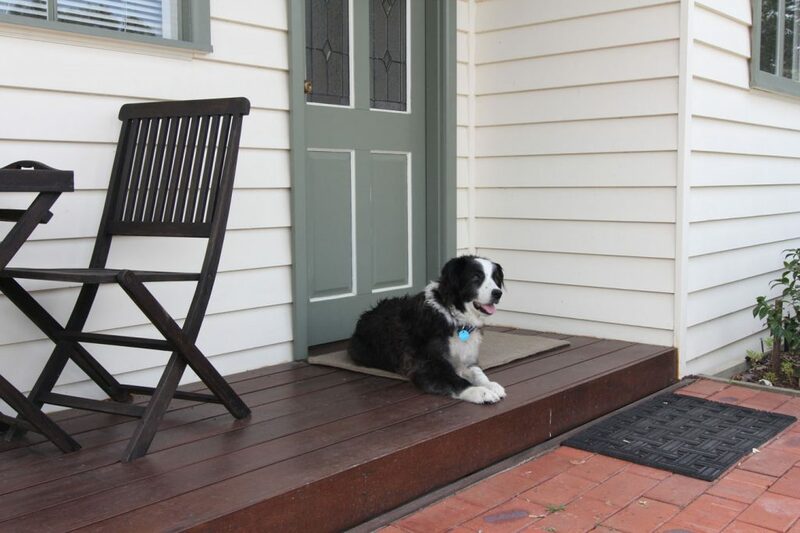 Dogs must be well socialised and present no threat to children or our elderly border collie, Maggie. Owners need to bring their pet’s bed and a clean sheet to cover the couch, if the dog is to be on the couch. Dogs must not be left in the cottage unattended. Dogs are not allowed on bed / bedding. Owners are responsible for their pet at all times. A fenced, sheltered dog pen with kennel is available, however it is the owner’s responsibility to ensure the security of their dog. To protect our birdlife and small mammals and marsupials that frequent our garden and bush, cats are not generally accepted. If travelling with your cat, please contact the owner to discuss. Request a booking and secure your dates. Our stay was amazing. Just perfect for a wonderful weekend together. The best! Loved the food and coffee. Liz & Dave are great hosts. Guests are asked to leave the cottage and surrounds as they found it. Please report any breakages or issues to the owners as soon as possible so they can be rectified. Parties are not allowed. Requests to host a limited number of additional guests for a meal / refreshments will be considered. Guests are responsible for the security of their goods and property throughout their stay. The owners accept no responsibility for loss or damage incurred by guests during their stay. Dogs are welcome subject to agreement of the Owners and compliance with the following conditions: This rural property is not fenced to contain dogs, however a sheltered, fenced dog run is available across the driveway from the cottage. The guest is responsible for the behaviour and welfare of their dog throughout their stay. The dog must be under the control of their owner at all times and must not present a threat to our resident elderly border collie, nor the owners, nor their visitors. In the interests of future guests, dogs are not allowed in / on the bed or couch. Dogs must not be left inside the cottage without responsible supervision to comply with these conditions. Owners can leave the dog in the sheltered dog run opposite the cottage, subject to accepting full responsibility for the adequacy of the fencing to contain the dog. The dog owner will supply their dog's bed, food and drinking containers. Dog owners will be asked to provide a refundable bond via their credit card at the time of booking to cover additional costs incurred due to evidence of breach of these conditions.